Do you do a lot of your shopping at one specific store or retailer? If so, you could potentially save money year-round if you strategically use the best store credit cards. Many store credit cards offer discounts as a thank you for signing up. Plus, some retail cards allow you to rack up points for discounts on future purchases. Just remember to watch your spending when shopping at these retailers, however. Keep reading to see GOBankingRates’ ranking of the best store credit cards. Where do you shop most frequently? Do you want a low APR to offset your purchases? Or, do you want a robust rewards system so you can earn points while you shop? The number of factors that go into acquiring a retail credit card can be dizzying. To help you choose the right card for your financial needs, GOBankingRates broke down the 10 best store cards you can apply for today. As you can see, none of these cards come with an annual fee, which means you’ll never have to worry about that digging into your budget or potential rewards. Also, most of the cards use a tiered rewards system that boosts your points depending on what you buy with your card. Popular categories include restaurants, gas and designated retailers. If you shop at one of the listed stores more frequently than another, it might be more beneficial to have the associated card in your wallet — even if the rewards appear to be less. Related: Is It Smart to Get a Card With an Annual Fee? Keep reading to see which store cards are the best for various individual categories. We’ve reviewed the top three credit cards in each category. Fast shipping can be a huge boon if you need to get gifts and purchases in a hurry. Although the cards themselves might not come with shipping features, the stores they’re issued from should be a factor in figuring out which retail credit card works for you. Keep reading to see the best store cards for fast shipping. 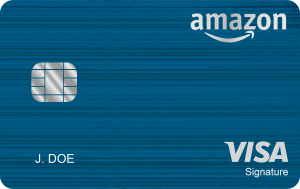 The Amazon Prime Rewards Visa Signature Card lets you earn points on certain categories. You’ll earn five points for every $1 spent at Amazon.com and Whole Foods, two points for every $1 spent at restaurants, gas stations or drugstores, and one point for every $1 spent on all other purchases. Amazon offers same-day delivery in more than 8,000 cities nationwide. You can order in the morning before noon to get your item by 9 p.m. Alternatively, you can order in the afternoon and get your item by 9 p.m. the next day. According to its website, Amazon Prime members using same-day delivery for “orders under $35 are up to $5.99 per item for Same-Day Delivery, or as low as $2.99 per item for One-Day Shipping.” Same-day delivery and one-day shipping are also available to non-Prime customers but will include additional fees. If you’re not in any hurry and are a Prime customer, Amazon also offers free two-day shipping on millions of items. Read our full Amazon Prime Rewards Visa Signature Card review. The Nordstrom Visa Card can earn you up to three points per $1 spent at Nordstrom (depending on your status as a shopper), but the store also has a flexible shipping system that allows for same-day delivery. It costs more to expedite your order, but you can also use your Nordstrom credit card to charge the shipping to net yourself some points. Nordstrom also includes curbside pickup. After checking out your order when you buy online, use the Nordstrom iOS app to request a curbside pickup. Once you arrive at your local Nordstrom, a sales rep will walk out your order. Read our full Nordstrom Visa Card review. The Macy’s American Express Card offers a fairly impressive rewards system for a store card: five points per $1 spent at Macy’s (dependent on membership status), three points per $1 spent on restaurants, two points per $1 spent at gas stations and supermarkets, and one point back in rewards for all other purchases. Macy’s offers shoppers a same-day delivery option. Note that Macy’s cannot do same-day deliveries to PO boxes, APO/FPO addresses and U.S. territories. To actually get your item on the same day, though, you have to place your order by 1 p.m. local time from Monday through Saturday, or by 11 a.m. on Sunday. Read our full Macy’s American Express Card review. Home improvement credit cards can ease some of the anxieties associated with large projects. They make financing a bit more streamlined and can provide some much-needed discounts for expensive tools and materials. The cards listed below provide a range of choices for your project timeline, and they come from some well-known, well-trusted companies. You might not want to rely on them to build credit, but they offer alternatives for taking out a personal loan. 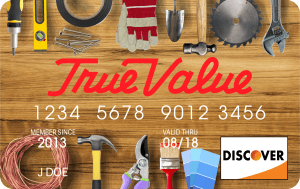 True Value offers dedicated do-it-yourselfers tons of home improvement tools and resources, but you can take further advantage of its wares with a True Value Discover Credit Card. Besides offering two points per dollar spent on gas and grocery purchases, with one point per $1 spent on all other purchases, you get three points per $1 for your True Value purchases. You should note that for True Value purchases with a minimum total of $299, you will not have to pay interest if the debt is paid in full within six months. However, interest will be charged to your account otherwise. Given the APR is 27.99 percent, you’ll want to pay it off sooner than later anyway. The card comes with an annual $5 voucher for your card anniversary. Because there is no annual fee, you can consider that a $5 credit. The credit card also comes with features that protect your funds. As a cardholder, you’re entitled to built-in fraud protection, with a $0 fraud liability that safeguards you against unauthorized purchases. If you happen to see one of your purchases at a different store for an even lower price within 60 days of purchase, True Value will refund you the difference. The Lowe’s consumer credit card, also known as the Lowe’s Advantage Card, is issued by Synchrony Bank and has some nifty perks that come in handy for first-time cardholders. The product comes equipped with everyday savings in the form of its 5 percent off feature. If you open a new Lowe’s Advantage Card between now and Jan. 20, 2019, you’re eligible to save $25 on your first purchase of $25 to $500. If the purchase is over $500, the cardholder will receive the everyday 5 percent off discount. Similar to the True Value Discover credit card, the Lowe’s Advantage Card will not require you to pay interest on purchases with a minimum total of $299, provided the debt is paid in full within six months. However, interest will be charged to your account otherwise. The biggest perk that comes with this card might be the special project financing. For purchases of $2,000 or more, you can ask for 36 fixed monthly payments at 3.99% APR, 60 fixed monthly payments at 5.99% APR or 84 fixed monthly payments at 7.99% APR. 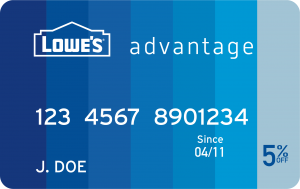 Read our full Lowe’s Advantage Card review. 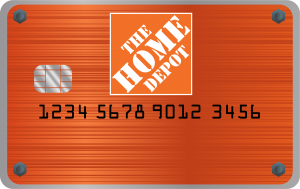 Like the other two cards in the category, the Home Depot Consumer Credit Card also features built-in savings on large purchases. Once you open your account, you have 30 days to take advantage of its savings on purchases of $25 to $1,000 or more. For transactions in the $25 to $999 range, you’re eligible for a $25 discount. For purchases of $1,000 or more, that discount goes all the way up to $100. Home Depot also offers special financing for purchases of $299 or more, with the same requirements: Pay off your debt in full in six months, and you will not be charged interest. Otherwise, the interest will be charged to your account. Overall, the Home Depot credit card has a lower APR than the other two cards in the category, with the lowest being 17.99 percent. However, that rate can go as high as 26.99 percent, depending on your creditworthiness. Read our full Home Depot Consumer Credit Card review. These department store cards offer you discounts on various items. They also reward you with certificates or discounts for hitting money or points milestones. These cards might be especially useful during times when it’s required to buy new clothes, such as back-to-school season, preparing for a new job or a wedding. 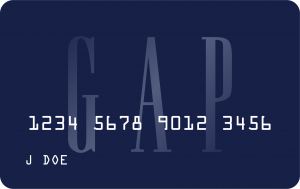 The Gap Visa Card, issued by Synchrony Bank, has the potential to earn you a lot of rewards points at once. Earning five rewards points for every $1 on your purchases is always nice, but it must be spent on Gap purchases. Otherwise, it’s just one rewards point per dollar on all purchases. Still, the card nets you a $5 reward for every 500 points you earn, regardless of your origin. If you spend a lot of time and money at Gap, this could be a beneficial feature. If you earn 5,000 rewards points in a single calendar year, you might qualify to upgrade your Gap account to Silver status. The perks of attaining this include 20 percent of rewards points credited to you each calendar quarter. You could also earn a voucher for a “Choose Your Own Sale Day,” though this is subject to change. You can save 20 percent off your first purchase within 30 days opening the account. Your first purchase also includes free shipping. You can save even more through the card from now until Jan. 31, 2019. During this period, your card will subtract an extra 10 percent off of qualifying purchases. It’s worth noting that this discount can only be made in-store using the promo code PLUS10. The Nordstrom Visa Card, issued by TD Bank, gives you immediate access to the Nordy Club, Nordstrom’s premier membership that comes with different benefits depending on how much you spend. You earn three rewards points for every $1 you spend at Nordstrom, Nordstrom Rack, HauteLook and Trunk Club. Whether you earn points in other spending categories depends on what card you select. 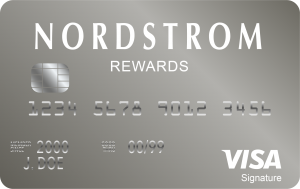 The Nordstrom Retail card does not come with any other rewards for purchase categories, limiting its use outside the store. However, the Nordstrom Visa Card will earn you two rewards points per $1 spent on dining, travel and entertainment. Cardmembers are immediately eligible for Insider status within the Nordy Club. This comes with a Double Points Day voucher, which lets you earn double the points on your net purchases in-store or online, and you can schedule it whenever you want. And, if you’re among the first shoppers at Nordstrom’s Clear the Rack sale, you’ll receive an additional 25 percent off red-tag sales. If you use the card the day you’re approved, you’ll be eligible to receive a $40 bonus note, which is great for your next purchase. Plus, there’s no annual fee. J. Crew enthusiasts should note that J. Crew Card gives you a 15 percent discount on your first purchase after opening an account. However, this can only be used once. But the card also grants you a $5 J. Crew Reward for every $100 you spend. If you spend $100 off the bat, you can save at least $20. The product also benefits shoppers by offering complimentary standard alterations on your in-store purchases (services limited to pant and skirt hemming and sleeve alterations) and free shipping on purchases made on the J. Crew and J. Crew Factory websites. You can also add authorized users on the card in order to expedite spending and rewards. The card comes with rewards points, but they’re limited to in-company purchases. For example, using your J. Crew card at a J. 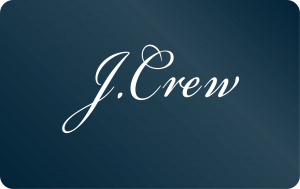 Crew outlet will earn you 2 points for every $1 spent at J. Crew. But using a card other than your J. Crew credit card at J. Crew will only net you one point per $1 spent. Furthermore, the rewards points can only be redeemed for cash, and even then only when a cardmember has reached 200 points. The example J. Crew gives on its website is 200 points will earn you $5 in cash. However, with the card’s other equipped bonuses, this can add up to some nice discounts. Electronics can be fairly expensive, but these cards have built-in discounts to help you save money. And, some of these electronic store cards let you collect rewards points as you shop, which you can then use for continued markdowns on your electronics purchases. Apple products are usually in high demand, and they’re not cheap. 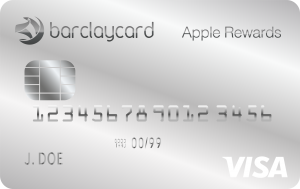 If you’ve ever wished there was a way to be rewarded for your Apple buys, look no further than the Barclaycard Visa with Apple Rewards. If you miss a payment or fail to pay in full before the promotional period ends, you will be charged interest in full at a rate of 15.99%, 21.99% or 28.99% APR depending on your creditworthiness. This Walmart Credit Card offers some nice perks for those who frequent the giant retail chain. If you spend $75 on the same day you open your account, congratulations — you just received a $35 statement credit. These cash-back rewards are paid as statement credits. There are no limits to rewards, and they don’t expire. 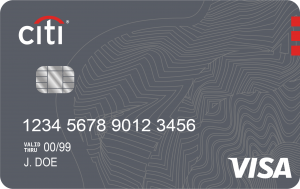 The card also comes with general perks that cardholders should find useful, such as no annual fee, $0 fraud liability and access to your FICO score. Read our full Walmart Credit Card review. For purchases $199 and up, you will not have to pay interest if you pay the balance off in full within six months. For purchases of $479 and up, you have a whole 18 months to pay off the balance in full to avoid paying interest on the debt. 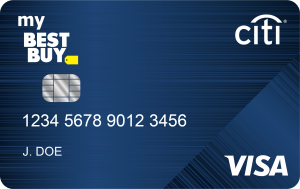 The My Best Buy card also comes with two options that will assist Best Buyers in saving money. Customers can get 5 percent back in Best Buy rewards when using the card, which translates to 2.5 points. Elite Plus Cardmembers will earn three points for every $1 spent. However, this points-per-purchase system only applies to Best Buy purchases. Cardholders who rack up 250 points will receive a $5 reward certificate. Also, within the first two weeks of opening your account, you’re eligible to receive 10 percent back in rewards points. Read our full My Best Buy Credit Card review. Even if you don’t frequently shop for furniture, it could be worth it to carry around a furniture store card. The discounts and financing they offer could come in handy if you need to move or if you’re about to undertake a large, expensive do-it-yourself project. Thanks to their financing options, these cards might also be useful for building credit. On the other hand, most of them have high APRs, which could run your credit afoul. Because of the costs associated with buying furniture, these cards might require the most planning, especially when it comes to debt repayment. Interior decorators, do-it-yourselfers or even people who find themselves moving frequently might want to consider the IKEA Visa credit card. This product will not only help you save on furniture but on installation services as well. The card uses a tiered rewards system to help you regain some of your spending. You can earn 5 percent back on not just IKEA purchases, but on Traemand installation and TaskRabbit assembly services as well. You will also earn 3 percent by using the card when purchasing within the dining, grocery and utility categories. There is a temporary offer, valid until Dec. 31, 2018, to earn 3 percent back on select holiday shopping. On top of all that, $1 spent in any other category gets you 1 percent back in rewards. 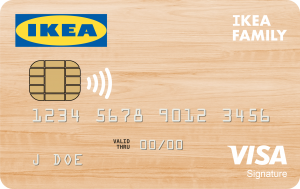 This IKEA card also allows cardholders to enjoy $25 off of their first IKEA purchase, provided they open an account and use the card on the same day. Plus, if you make $500 worth of qualifying purchases with your IKEA card, you might be eligible for a $25 IKEA reward certificate. With a standard purchase APR of 21.99 percent, your purchases probably won’t affect as much as some of the other cards on this list. Besides the 5 percent discount, the extended return policy is what makes the Target REDcard useful for purchasing furniture. According to Target’s website, “When you make purchases with your [Target REDcard] at Target stores or Target.com, you will receive 30 additional days to return the purchases beyond the standard return policy applicable to each of the purchased items.” If you wind up purchasing a defunct piece of furniture, or if you decide it just doesn’t go with your vision, you’ll have more time to return the item. The card also comes with free shipping on your furniture item, which saves you money, and free two-day shipping on eligible items. When you’re buying furniture, it’s always a plus to get your items sooner rather than later, and the money you save could go toward cheaper, additional items. The Target REDcard also includes early access to deals and “exclusive extras,” according to its website. While it’s not always a given that these extras will include furniture items, chances are they’ll come up sooner or later. 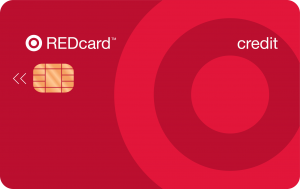 Read about the Target REDcard’s benefits. 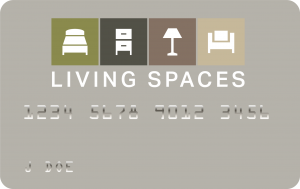 The Living Spaces Credit Card is a great companion to the retailer’s wide variety of interior design resources. The card, issued by Synchrony Bank, doesn’t offer much in the way of rewards. Rather, its strength lies in its special financing options. If you pay off your balance in full before a set period of time (from six months to 18 months) on purchases ranging from $150 to $2,000 or more, you will not have to pay interest. The purchases can be made anywhere, not just at Living Spaces. The personal financing options look pretty generous, but it’s always a good idea to pay them off as soon as possible. The Living Spaces card comes with a purchase APR of 29.99 percent, one of the highest APRs on this list. Rewards points are hard to say no to — who doesn’t like racking up points you can later redeem for cash or bonuses? Most of the rewards cards listed here are beneficial if you’re a regular shopper at the store they’re associated with. The more cash-back rewards or points you accumulate, the more you can buy at the store. These rewards points can be redeemed for either cash back or for merchandise at Costco warehouses. This card doubles as your Costco membership ID. 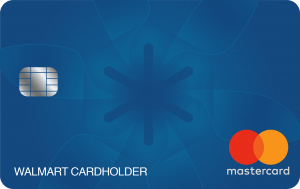 If you’re approved for the card, your membership will be automatically charged to your account and will be subsequently automatically charged for your annual renewal. According to Costco’s website, cash back “will be provided as an annual credit card reward certificate once your February billing statement closes.” So you probably need to plan around that time for when to actually redeem your rewards. This card has no annual or foreign transactions fees. Read about the advantages of a Costco Anywhere Visa card. The Macy’s American Express Card grants holders purchasing power on a number of categories. You’ll earn three points for every $1 spent at restaurants, two points for every $1 spent on gas and groceries, and one point for every $1 spent on all other purchases. 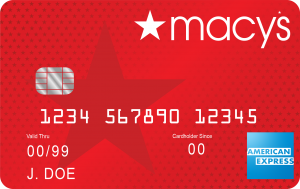 Accumulating 1,000 points will get you $10 in “Star Money,” which can be used at Macy’s with no merchandise exclusions, according to the company’s website. The card also comes with a tiered membership system that unlocks more rewards the more you spend. Silver Status: Unlocked when you spend $1 to $499. Grants you a 25 percent off discount on any day you choose. Gold Status: Unlocked when you spend $500 to $1,199. Grants you free shipping with no minimum. Platinum Status: Unlocked when you spend over $1,200. Grants you five points per dollar spent at Macy’s outlets and online; grants you travel benefits as well. Macy’s shoppers might want to hurry up and unlock Platinum status, as that will grant them the most rewards while shopping at Macy’s. But for those who simply want a flexible card that also gives them purchasing power outside of their favorite retailer, the Macy’s American Express Card is worth consideration. Give how much Apple products cost, those points can stack up quickly. Cardholders will receive a $25 Apple gift card for every 2,500 points they earn. Discount credit cards are particularly useful for those trying to work around a budget, and even for those trying to build or rebuild credit. Because the discounts cut down on your overall debt, the card’s APR won’t affect you as much. Consistently saving 5 percent on your purchases can spell out big savings in the long run. Keep in mind the Target REDcard‘s built-in 5 percent discount also applies to in-store Starbucks, Target subscriptions, Cartwheel, specialty gift cards, top deals and clearance sales, earning you even bigger savings. The card will also save you money through its free shipping feature on eligible items. Target is one of America’s largest retailers and has several departments with different subcategories, so that 5 percent discount is nothing to scoff at. The card carries no annual fee, although the purchase APR is fairly high at 24.90 percent. The Lowe’s Advantage Card allow you to save money from the get-go. For your first purchase, you can save $25 on purchases of $25 to $500. If the purchase exceeds more than $500, the card’s 5 percent off everyday feature will kick in. However, this offer is only available until Jan. 30, 2019. The card’s 5 percent off feature is guaranteed to save you money on your purchases. But the discount cannot be combined with any coupon, Lowe’s military discount or Lowe’s employee discount. Check its website for additional exclusions. This offer is available until Jan. 30, 2019. The card does not carry an annual fee. Pros: $10 Star reward certificate for every 1,000 points, 25 percent discount with Silver Member status, free shipping with Gold Member status. The Macy’s American Express Card comes with a tiered rewards system that lets you rack up points fairly quickly, especially if you use it at Macy’s. For every 1,000 points you earn, you’ll receive a $10 Star Reward that you can use at Macy’s at any time. Using your card to purchase $1 to $499 worth of stuff will earn you Silver member status, which also nets you a 25 percent discount to be used on any day you want. Spending between $500 and $1,999 will get you Gold member status, at which point you can save money on purchases with free shipping. However, the card carries a 26.99 percent APR, so spend wisely. Store cards, for the most part, have very specialized uses. Many of their advantages only serve you if you’re shopping at the store, for example. They all have ways of saving you money, whether from discounts, introductory discounts, special financing and more. However, you need to be a fairly frequent store shopper to give the card extended use. Some of the more flexible cards listed here come with a rewards system that still benefits you outside of shopping in the store. Some of the bigger retailers out there — such as Amazon, Target and Walmart — might offer more flexibility just because of how many products they carry and for their different delivery options. You might not even want to bother with rewards or easy access, and there are store cards that have simpler benefits like different options of paying off interest. But keep this in mind: Because of their focused advantages, store cards might even encourage more spending. Many of the rewards built into retail credit cards require you to spend money to tap into them. When using these cards, stick to your budget and pay off your balance on time to avoid falling into debt. Methodology: GOBankingRates used the following factors to determine the best store credit card in each category: (1) the number and type of discounts for cardholders; (2) number and type of rewards; (3) annual fee; (4) APR. The overall Best Store Credit Card was based on the sum of categories each store credit card appeared in, with tie-breakers going to credit cards with lower APRs and more rewards. Get the right status to enjoy easy travel.